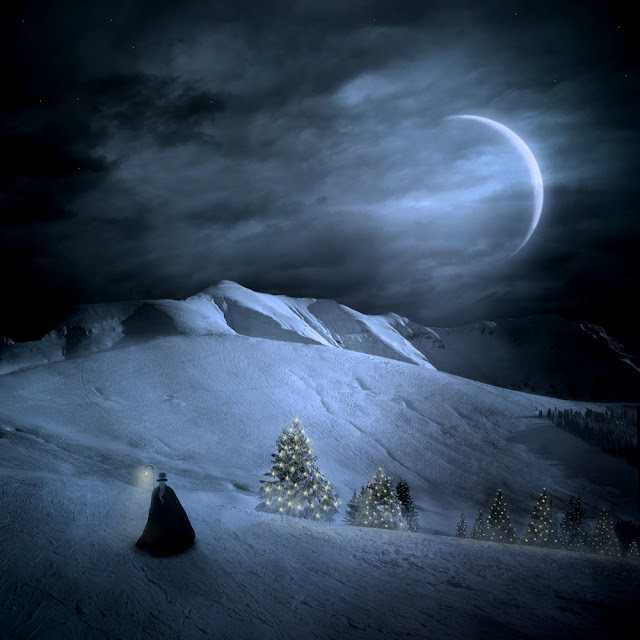 The Christmas Ghost by Yaga Kielb. Ok, I've given this trade a goodly amount of thought and...I don't love it. It's a deal that makes perfect sense...for the Dodgers. They deal from surplus assets, reduce their total salary obligations for luxury tax purposes, add two prospects, and add international bonus pool money. In essence, they improve in the short-run because they will be able to add an impact free agent (Bryce Harper, come on down! ), they improve in the long-run by adding two solid prospects (J.Downs; J.Gray) and international bonus money they can use to add more young talent, and they manage their luxury tax obligations by trading present salary for future salary and acquiring lower AAV salary. So, it makes perfect sense for the Dodgers. Of course, trades aren't zero-sum games. Just because it works perfectly for the Dodgers, doesn't mean it doesn't make sense for the Reds. In some respects, it does make sense for the Reds. Unfortunately, it only seems to make sense for the short-run, which is problematic given the Reds current position on the win-curve. The Reds simply aren't built for the short-run. This is/was a bad ball club, so adding three pieces who will become free agents after the 2019 season at the expense of future assets, doesn't really align with the Reds rebuild. The purpose of the trade was to convert Homer's "dead money" (at least in the eyes of the organization) into salary obligations that will provide production. To convert Homer into productive assets, they gave up future assets. To me, it's just difficult to justify giving up future assets for three assets that are controllable for only a single season. In fact, for this trade to make any sense, it requires the Reds to make a strong push to contend in 2019. That likely means trading blue-chip prospects for an impact starting pitcher. If they don't follow-up this trade with a big trade that pushes the team up the win-curve to a place where they are legitimate contenders, then they are wasting the prospects they traded and the single-seasons of control of Puig, Wood, and Kemp. If they do make an additional trade, then they are further depleting their rebuild assets. This Puig trade essentially forces the Reds' hand, they now have to be competitive in 2019. Someone on the message board side talked about the danger (in the context of a Kluber trade) of ending up back at "square one," essentially by emptying our prospect-cupboard and not getting enough years of control in return to allow us to contend. Leaving us short of contention in the present and short of future assets needed to contend in the future. This trade has inherent "square one" risk and I don't think it's at all clear how the Reds are going to manage that risk. Setting aside, for the moment, the potential value of the two prospects they gave up, there is a significant opportunity cost to this trade. Given that they traded Jeter and Josiah and international bonus money to the Dodgers, they can't later trade those assets for something else. In this day and age, blue-chip prospects rarely change hands; they are just too valuable. The types of prospects that do get moved more often are the second tier players....like Jeter and Josiah. The Reds, as a result of this trade, have less ability to make those trades now. There are only so many bullets in the gun and Reds just fired off a few rounds. Talking specifically about the prospects the Reds gave up, I feel like the Reds gave up more than people might think. With respect to Jeter Downs, I think he'll be a starting 2nd baseman at the big league level. Watching him hit, I'm struck by how comfortably he takes pitches. He is very comfortable at the plate, which speaks to strong pitch recognition. He seems to be able to identify pitch type and location very quickly, giving him a very calm presence in the box. And, he pairs that skill with a disciplined approach, as evidenced by a very strong walk rate at low-A. You don't give away a plus plate approach easily, especially with a player who can stick in the middle infield. Downs has a bit of work to do with his swing mechanics, as I don't think he incorporates his lower-half into the swing as well as he could...and likely will with the Dodgers. Even if doesn't change his swing mechanics, he will likely generate more power simply by filling out physically. Add in his plus make-up and the consensus that he has a shot to stick at short with a good likelihood of ending up at second base, and you have a potentially valuable player. Josiah Gray is a bit rougher, being more of a recent convert to the mound. But, he has a quick arm and a clean arm action. He has a cross-fire delivery resulting from his stride foot landing in a closed off position, which likely reduces efficiency in his mechanics. Still, Gray dominated the rookie league, which is expected as a college pitcher...even one who recently converted to the mound. It was a strong debut, even given his age-over-level advantages. So, he has a chance to be an MLB pitcher, though he arguably packs more total risk than Downs, particularly in the form of injury risk (inherent in pitchers) and development risk (converted pitcher). Still, he's a legitimate prospect and another strong minor league season will only boost his future trade value. As for the players coming back to the Reds, Matt Kemp is a 1.0 to 1.5 win type player. He had a solid offensive season in 2018 and will benefit from moving to GABP, but he has all the range of a traffic cone in the outfield, so he gives back much of the value of his offensive production on the defensive side. Not to mention, he's highly injury prone. At this point, Kemp has minimal value to the Reds. So, we're down to Wood and Puig. Wood is an interesting arm, but it's still unclear to me what role he fills. Over the last three seasons, his inning totals have been 60.1, 152.1, and 151.2 and each season he has spent time in both the bullpen and rotation. Can he hold down a rotation slot full-time? His performance level is solid, but over how many innings can he perform at that level? Given that the Reds already added a mid/back rotation option in Tanner Roark, they really needed to add, to be contenders, an arm at the top of the rotation, not more mid rotation filler. Not to mention, Alex Wood has some real funk to his mechanics and the corresponding amount of injury risk. Of course, given that he's only controllable for a single season reduces the injury risk. Finally, we have Puig. Personally, I don't like Puig's antics, drama, or quirks. Setting that aside, at 28 years old, he's the asset with the chance to generate exit-value/future value. If everything clicks for Puig and he has a big season, then maybe the Reds give him a qualifying offer. The qualifying offer next offseason will likely be $18M+. That's a lot of cheddar and it seems unlikely the Reds go there unless Puig puts up something close to his career best season: .319/.391/.534. Of course, the fact that that production came in his rookie season, probably isn't a great sign. If Puig puts up a more typical and expected performance level of .267/.330/.485, then are we giving him an $18M+ offer??? I'm not seeing it. As for the idea that the Reds will give Alex Wood an $18M qualifying offer, that seems highly unlikely to me. He's just not that type of pitcher. That's a salary level of a quality starting pitcher. Wood, to date, hasn't been able to shoulder the type of workload needed to justify that type of payday. So, Wood is not going to generate any exit-value. Overall, this deal trades future assets for present ones, despite the fact that the organization is unlikely to be a contender in 2019. It certainly makes the Reds more relevant in 2019, which has undeniable value, but the opportunity cost is higher than appreciated. It's the opportunity cost that is troubling. Why not trade Jeter Downs, Josiah Gray, and international bonus money for a single, controllable asset that can help in both the present and the future? Something that aligns more with the organization's current place on the win-curve? Why give away future assets for assets controllable for only a single season? There's a misalignment of asset control and the timeline for contending, which might end up reducing the likelihood of a successful rebuild. It's the misalignment of asset-control and contention-timeline that is troubling. It's the "square one" risk that is troubling. At this point, the Reds now HAVE to make a big trade to push this team farther up the win-curve for this move to make any sense. To do so, however, will require dealing away blue-chip prospects, further imperiling the rebuild and increasing the "square one" risk. The Reds just put a lot of chips into the 2019 pot; I'm just not sure the odds are in their favor. "With the 5th overall pick in the 2018 draft, the Cincinnati Reds (should) select...."
The two players in this draft who excite me the most are Jonathan India and Alec Bohm. Casey Mize does, too, but he's going to be off the board by the time the Reds draft. I love India's well-rounded game. He hits for average, gets on base, hits for power, plays strong defense, has a strong arm, and runs the bases well. And, there's a real possibility that he can be shifted up the defensive spectrum to a middle infield position. Part of me thinks everyone is simply overthinking things with India. The only things *not* to like with India are his strikeout rate is a touch high and his track record is that of two solid years and one great year. As for the former, his strikeout rate isn't massive and given his late-count approach and power generation, it's not damning. As for the latter, Jeff Luhnow once said that "uncertainty creates opportunity." In this instance, if India had had 2 or 3 seasons comparable to the performance level of his junior season, then he's probably going 1.1 overall. However, his breakout was only in his junior season, so some question whether it's sustainable. For the Reds, this uncertainty with India creates opportunity. As for Alec Bohm, I just love the swing. It's balanced, fluid, controlled, and powerful. It's a swing you can dream on. For a righthanded hitter, he controls the strike zone very well and he has already figured out how to manage his height (6-5). The last time I was impressed by a taller hitter's ability to offset the disadvantages of his height, it was Aaron Judge. Bohm is a bit shorter than Judge and a bit farther along in his hitting. Bohm hits for average, controls the strikezone, and hits for big power. He may be a hitter who reaps all the benefits of his height without suffering any of the drawbacks. Bohm also moves well and throws well for a player his size. At this point, he's only average or a touch below defensively at third and long-term he might end up at first base, but the bat is very intriguing. In the end, I'm going with Jonathan India over Bohm. As much as I love Bohm's bat (and I think he could be a legitimate impact hitter at the MLB level), India does everything well and he actually posted a higher OBP (.502 v. .436) and slugging (.723 v. .625) than Bohm this past season. I wonder if India has a bit of Justin Turner to him, not just in how he hits but also in how he has to disprove the lingering critics. In the later rounds, I desperately want the Reds to grab one of Griffin Conine or Seth Beer. As for India and Bohm, I like them both a great deal. Beer has a better bat (though with questions about his wood-bat performance), while Conine has more a diversified skill set. (and fewer questions about his wood-bat performance). In the end, I'd rate Conine a tick ahead and Beer just after that. Another player I'd like to see the Reds grab would be LHP Garrett McDaniels, who has a strong foundation and room for projection. If the Reds can walk out of the first 2 rounds of the draft with Jonathan India (1.5; 5th overall), Griffin Conine (2.4; 47th overall), and Garrett McDaniels (Competitive Balance B, 4; 72nd overall), then I'll be a happy man. Go forth and draft, Reds!!! Unfortunately, the Reds do not have either a Compensation Round pick or a Competitive Balance Round A pick, so their second pick is in the second round, pick #47 overall. There are a few names worth considering, if they'll only slide that far. Fortunately for us, he lacks defensive value and speed, so he may slide down to the 47th overall pick. MLB.com rates him as the 46th best prospect, while Keith Law rates him at 31st overall. Unfortunately, I think his profile is too high to slide that far, but you never know. If Beer is on the board at pick 47, he'd better be on the short list for the Reds. Conine is the son of Jeff Conine, who had a lengthy MLB career. The son is an outfielder with Duke who possesses prodigious power. Like Beer, he's largely a bat-first player, who will go as far as the lumber takes him. Conine has a swing that generates a tremendous amount of force. Prior to the season, he was a trendy choice for being drafted among the top 15 picks in this draft. However, he struggled early in the season and, as a result, has slide down the rankings. MLB.com rates him at 51st overall, while Keith Law slots him in at 50th. There's a reasonable chance that he'll be available when the Reds select at 47. If Conine had taken an additional step forward in 2018, he'd be in line for a substantial bonus, but now he'll settle for less in the compensation rounds or the 2nd round. While his offensive production is less consistent and impressive than Beer, he provides more value on defense. He's a legitimate corner outfield option with a strong arm. So, while his offense is less likely to exclusively carry him to the majors, he has a more diversified set of value-drivers. Conine is an intriguing option and one the Reds should heavily consider with pick 47. McDaniels is a projectable lefty featuring a 3-pitch mix, including a fastball, curveball, and changeup. His fastball only sits in the upper 80s, but he has projection to his game and he could add velocity as he fills out. He has a good feel for pitching and good athleticism. McDaniels is very fundamentally sound, but he'll need to improve his offerings in the professional ranks. Still, the raw materials are there and he has the type of foundation on which you can build. Casey Mize is the better pitching prospect in this draft class and is an extreme long shot to be available at pick 1.5. He checks all the boxes: stuff, production, mechanics, and size. Frankly, it'll be a surprise if he isn't taken at pick 1.1. There's a whole lot to like about Casey Mize and if it's a pitching prospect you want, then he's your guy. I'll just leave this final note here: In 102.2 innings this year, Mize has walked 10 and struck out 140! Overall, I'm not seeing Singer as a viable option at pick 1.5. The combination of stuff, mechanics, and delivery tempo just don't have me seeing impact starting pitcher at the MLB level. He features a 3-pitch mix, including fastball that sits 91/92/93 with some arm-side run and sink, a solid slider that can flash plus, and a work-in-progress changeup. Overall, he has clean mechanics with no obvious red flags. However, he could more effectively tap into the kinetic chain in generating force, which would reduce stress on the arm and make the generation of force more efficient. Further, the low three-quarter arm slot is potentially problematic for a starting pitcher. Starting pitchers can work successfully from that slot, but I'm not convinced that Singer is the one to bet on. This is a pass for me at pick 1.5. Keith Law has Stewart as the number 2 player on his top 100, while MLB.com slots him in at number 5. He features a fastball, curveball, and changeup, with the first two grading out as true plus pitches. His fastball sits, depending on the day, 92-94, but has touched the upper 90s and there is obviously significant physical projection left to his game. His curveball has massive spin rate, among the highest ever recorded. So, we're talking about two potential plus pitches with a still developing changeup. Obviously, the upside is considerable, but the risk is substantial. Stewart provides a much wider range of possible career outcomes than many of the other prospects in the mix for the Reds. He could go boom, he could go bust. The initial impression of Stewart's mechanics is one of looseness. He has long levers, his arm action is free-and-easy, and there is some overall inconsistency in his mechanics. He's just loose. On the plus side, he has a clean arm action and generates a lot of force with a very high leg kick and a long stride towards the plate. He could certainly benefit from greater differential between the rotation of the hips and the rotation of the shoulders. Overall, he seems like a live-armed youngster who could use some real development and refinement to reach his ceiling, but there's a significant amount of risk to that profile and the Reds have a poor track record of developing starting pitchers. So, are they the organization to draft and develop Carter Stewart? Stewart has a very wide range between his floor and ceiling. Even given the risk, it would be rather interesting to have both Carter Stewart and Hunter Greene in the same organization. Liberatore is a pitcher in a draft loaded with throwers. He doesn't have the overwhelming velocity, but he has a 4-pitch mix. His fastball sits 90-92, but there's room for velocity gains as he fills out physically. He also features a curveball, slider, and changeup. In addition, he has good command and control and an understanding of how to pitch. Overall, Liberatore has a nice blend of stuff and polish. His combination of ceiling and floor should make him a top 10, if not top 5 pick. 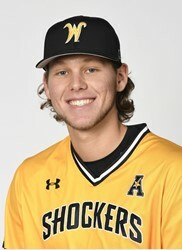 Alec Bohm (pronounced: Bow-hm) is a third baseman for the Wichita State Shockers and a likely top 10 pick in the 2018. In fact, he's a likely top 5 pick. Bohm's collegiate career hasn't been one of breakouts and rapid rises up the draft, rather his has been a tale of steady progression and improvement. Bohm has a very large physical frame, but is a good athlete for his size and he moves well. However, he has had to work hard to improve his third base defense, which is solid but lacks range and quickness. He does offer a strong arm, but his main value-drivers will always lie in the hit tool and power production. Above all else, Bohm is a hitter and an impressive one at that. Despite being a tall hitter (6-5) and the special challenges that can bring (larger strikezone to protect, longer levers to control during the swing, etc), Bohm has consistently maintained strong strikeout rates. In fact, as a junior, he walked more than he whiffed, which is an impressive feat for such a tall hitter. Bohm has a real feel to hit and generates easy power. Bohm hits for average, uses a disciplined approach to draw a goodly number of walks, limits his strikeouts, and hits for tremendous power. He's a well-rounded hitter with less than expected performance-risk for a hitter his size. Bohm has also had success with wood bats in the summer Cape Cod League, where he hit .351 (2nd overall) with 10 doubles (third overall) and 5 home runs (10th overall) for the Falmouth Commodores. His strong production with wood bats undoubtedly gives the MLB scouting directors an added layer of comfort with his level of performance-risk, as he's clearly not just a metal bat creation. It's a well-balanced swing that generates a substantial amount of force, which he can frequently impart to the baseball due to his solid contact rate. He does a very nice job of loading into the back hip, as he sets his back hip angled toward the pitcher, resulting in the momentum immediately springing forward after he shifts the weight back. It launches the body forward, generating significant force. He also does a nice job of dropping his back elbow down into the slot, effectively syncing the rotation of the top half with the rotation of the bottom half, which allows him to generate easy power. Overall, it's a beautiful swing for a right-handed hitter; fluid, powerful, and balanced. When coupled with his strong walk/strikeout rates and his longer levers, it's easy to imagine him being an impact hitter at the big league level. With respect to his larger physical stature, he seems to have figured out how to maximize the positives (longer levers; easier power generation), while minimize the negatives (larger strikezone to cover; longer levers to manage), which is fairly impressive in and of itself. As for the defense, you can see that he's light on his feet, shows good agility, and a strong arm. He's also comfortable throwing from multiple arm slots. As he continues to fill out physically, he might need to shift over to first base, but for now he certainly has the physical tools needed to adequately handle the hot corner. Bohm has a strong present performance level, but it feels like there's remaining projection to his game. It feels like he still has room to improve, which makes him an intriguing mix of projected floor and projected ceiling. He should definitely be in the mix for the Reds at pick 5, though there's a good chance he'll already have had his named called by then. Jonathan India is one of the fastest and highest risers in the 2018 draft class. 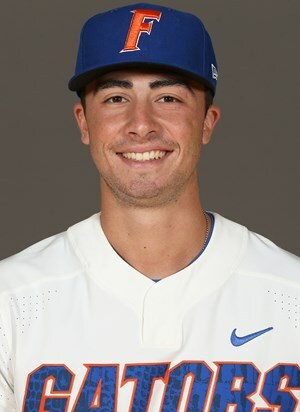 He certainly had solid freshman and sophomore seasons for the University of Florida, but his explosive junior season has landed him near the top of MLB draft boards. He should certainly be in the mix for the Reds with the 5th overall pick. India's sophomore season was actually a bit of a step backwards, as his offensive performance level declined from his freshman year level. A portion of that decline was likely related to an elbow injury that cost him a few weeks of the season. However, he is fully healthy in 2018 and has parlayed his experience into a a stronger mental attitude developed with the help of assistant coach Brad Weitzel. The obvious differences between his junior season and those that came before are his spiking walk rate and power production. He has emerged as an impact hitter. India has managed to more than double his walk rate with a minimal increase in strikeouts. Obviously, he's being more selective at the plate and grinding away at ABs until he gets pitches he likes, which leads to increased power production. He loads well into his back hip and really marries the rotation of his upper body to that of his lower half, which generates significant force in the swing. While he does not have Nick Madrigal's contact ability, India has a strong feel for hitting and generates more power than Madrigal. India uses a bat-tip as part of his load, which removes slack from his muscles and increases the amount of force that he generates. Overall, India has a balanced, powerful swing that he pairs with a strong feel to hit. There are a lot of impressive aspects of the above play, including the full extension, how quick he is to get to his feet, and the clear arm strength on display. India's defensive tools make him a potentially viable option at either second base or shortstop. In fact, India himself still sees himself as a shortstop, though he has been exclusively playing third base for the Gators. Consequently, there is a real chance that he could be moved up the defensive spectrum to a middle infield position, which would only increase his value. At the very least, it's something that could (and likely will) be tried in the professional ranks. India offers a diversified set of value-drivers, including hitting, defense, positional value, arm strength and strong baserunning ability. Not to mention, he has a strong track record, including one season of elite performance, against the highest level of collegiate competition. In light of the foregoing, he should very much be in the mix for the Reds at pick number 5. When ramping up for the draft and doing the deep dive into the draft eligible prospects, Nick Madrigal was the one I wanted to tackle first. By all accounts, he's a lock to go in the top 5 picks and a very real possibility for the Reds at 1.5. In years gone by, Madrigal would have largely been ignored, or at least massively downgraded, because he's both short (5-8) and plays second base. Previously, second basemen were rarely drafted, as organizations would simply draft shortstops and shift those who didn't pan out over to second base in the professional ranks. As a result, prospects with Madrigal's profile wouldn't have gotten a sniff in the early rounds. Now, however, in the age of enlightenment (sort of), Madrigal is in play. It's difficult to know which has done more to pave the way for Nick Madrigal, the explosion of data or the otherworldly ability of Jose Altuve. Data operates to provide a clear-eyed view of prospects of this profile, while the Lilliputian Altuve encourages everyone to dream and squint hard enough to see impact talent in even the shortest of prospects. 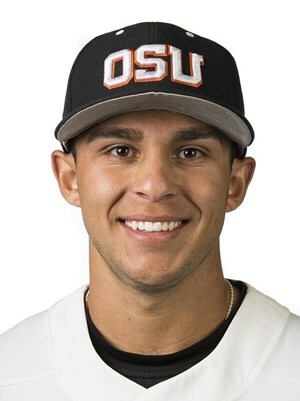 With that bit of context, let's get back to Nick Madrigal. Madrigal's standout ability is his bat-to-ball skill. His contact rate is plus and he consistently gets the barrel of the bat on the ball. In the modern game, where strikeouts have exploded, Madrigal's contact skills are highly desirable. In addition to his contact rate, Madrigal brings respectable power. He uses a set of swing mechanics that will be familiar to anyone who has seen the new "elevate and celebrate" swing that is sweeping the majors, which can also be seen in his "between pitch" practice swing, which is a half-swing that finishes straight up. To me, Madrigal's bat tip and leg kick during the load phase bear a striking resemblance to those of Seattle Mariner Mitch Haniger. In the games that I watched Madrigal plate, he didn't look great at the plate. He wasn't making loud contact, but rather rolled over a few pitches for ground outs. In addition. he had several check-swings on breaking pitches off the plate, which might speak to him not seeing the ball well or being overly aggressive. Two points worth noting about his 2018 season: First, he only has 108 ABs due to a broken left wrist he suffered while sliding into home. Second, in those 108 ABs, he has only struck out a remarkable 4 times! Obviously, his low strikeout rate is attributable to his bat-to-ball skills, but he's also an aggressive hitter who doesn't consistently work into late-counts. That type of aggressive approach pairs nicely with his hit tool and limits strikeouts, but it also suppresses his walk rate. On the defensive side, Madrigal has a very good defensive reputation. In the games I saw, he looked solid. He's not fluid in the Javy Baez sense, but not many are. The one aspect of his defense that caught my eye was his throws. On routine ground balls, he had a tendency to flip the ball over to first base. He ramped up the throws when turning double plays, but his arm strength wasn't overly strong, which calls into question any notion of switching him to the left side of second base in the professional ranks. Overall, Madrigal has a very strong hit tool and a decent amount of power despite his smaller frame. However, his hit tool is his main value-driver on offense, as his aggressive approach doesn't lend itself to high walk rates, he's not a speed burner on the bases, and his power projection remains an open question. Consequently, there is a lot of pressure on his hit tool to carry him to the majors. Fortunately, it's likely more than good enough to do just that, giving him one of the higher floors in the draft class. In the era of high strikeouts, massive velocity, and ungodly breaking stuff, a hitter with a plus hit tool is never a bad option and he's certainly in the mix for the Reds with their first round pick. The 2018 MLB Draft will be held on June 4-6 and can be viewed on MLB Network and MLB.com. All teams that have either one of the 10 smallest markets or 10 smallest revenue pools receive an additional pick at the end of the first or second round. In 2017, six picks were assigned between the first and second rounds based on a formula that considers winning percentage and revenue. The remaining eight eligible teams received a supplemental selection between the second and third rounds. In 2018, the groups of teams switch places, meaning there will be eight Comp Round A picks and six in Round B. Competitive Balance picks may be traded and are not subject to forfeiture. If a team that loses a qualifying free agent does not receive revenue sharing and did not exceed the luxury-tax salary threshold the previous season, it is awarded a compensatory pick after Competitive Balance Round B.